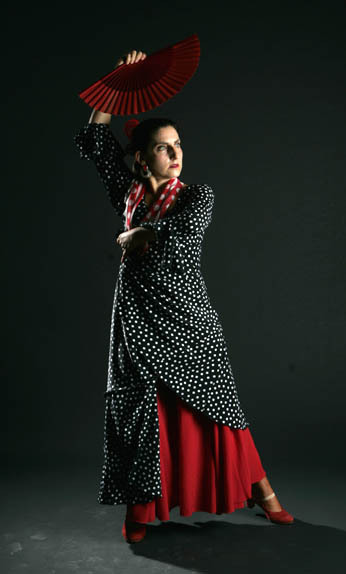 Antonia (Toni) Messina- (director and dancer) has long had a passion for Flamenco and has danced in the U.S. and abroad for over 20 years, studying with flamenco greats such as La Tati, Ester Moreno, Nehilda Tejado and Ramon de los Reyes. Interested in bringing the dance to wider audiences, she began her own group "Viva Flamenco" in 2004 and began working with a variety of professional guitarists, dancers and singers in in the New York area. Performances of "Viva Flamenco" include varied instrumentation such as flute and saxophone, while honoring flamenco's gypsy roots. She performs regularly at the Lafayette Grill and Bar in New York City. She's been teaching classes in Essex County, New Jersey for many years and has created a class environment embracing all interested learners no matter their age or experience. She regularly invites students to perform at local clubs and events and prides herself in creating a space for all interested in the dance to learn and eventually perform. She also studies flamenco cante which she uses to enrich her performances and classes, and has been featured in the November 2007 edition of MORE magazine, "Firsts After 40," and the New Jersey Star Ledger.